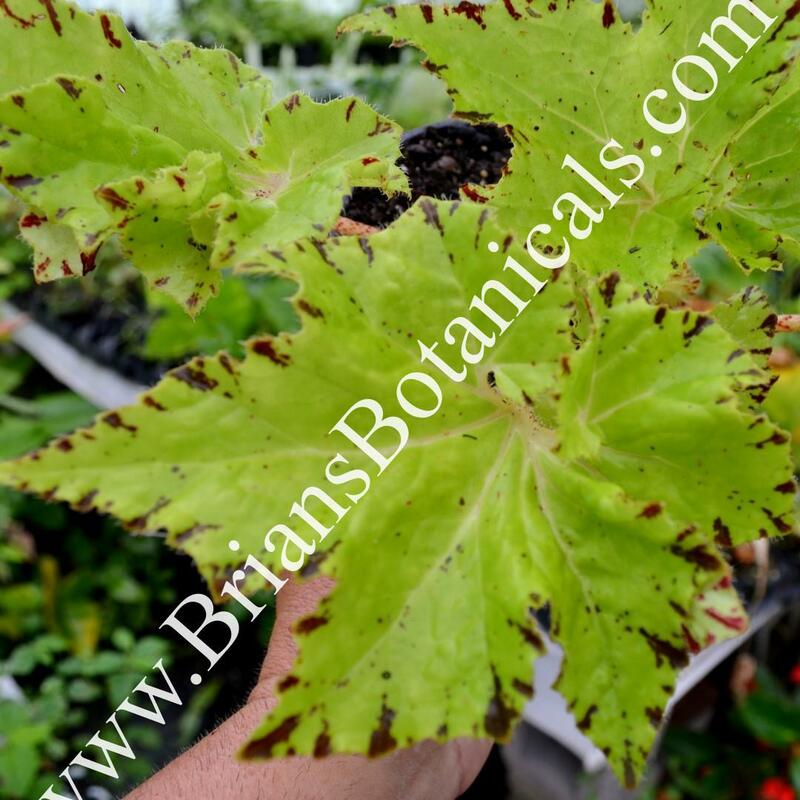 Begonia Golden Swallowtail this beautiful begonia is easy to grow and has great color. The leaves are lime green to yellow and has some light brown marks around the edge of the pointed leaf tips. Plants grow around 8 inches tall and it makes for a great house plant or container plant. Begonia grandis – Hardy Begonia!